Grab the largest rumor umbrella you can find, Square Enix fans because Siliconera has just dropped a big one on us. 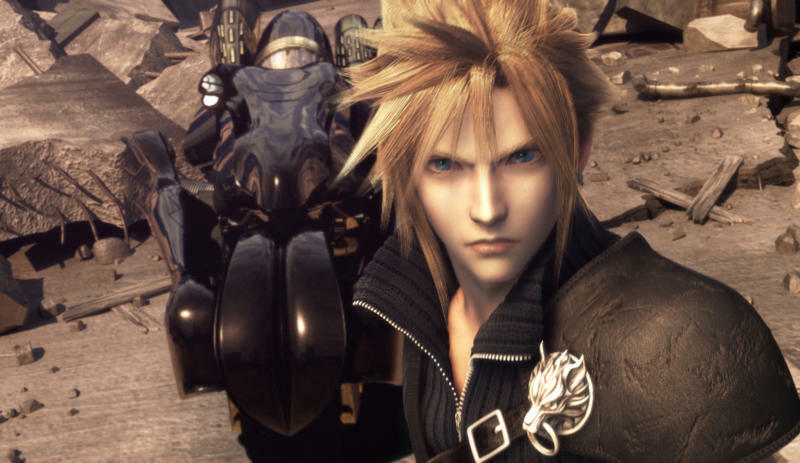 The publication, which specializes in Japanese games, claims that it has learned Square Enix is remaking Final Fantasy VII. Whoa, I know, right? Just when you thought Square Enix was learning to control its hubris. Keep in mind that this is not just a remaster like the one that came to the PC or the PlayStation 4 port promised last year. Siliconera makes a point that this is a full-on next-gen remake from the ground up with graphics similar to the Dissidia Final Fantasy arcade game. Call me monstrously skeptical at the moment. Siliconera is a great publication that usually has its stuff together. However, we've been squashed by this rumor before, and Square Enix has been trying to reel in its over-ambitiousness as of late, not make them explode into the stratosphere. Plus. Siliconera is quite vague as to how it came by this information. Guess we'll have to wait for Square Enix's E3 presentation to see if there is anything to learn this year. My guess is that Square Enix will have more to say on Tuesday if it has anything at all. Maybe Sony will as well. Who knows? Maybe it's real, but it won't be at E3 because it's not ready to show off yet. The point is, don't get your hopes up just yet.